While consulting with MicroSave in 2008 I visited Mazarpara village in Lower Assam with Abhijit Sharma of the Indian Institute of Bank Management (Guwahati). In this economically active but poor village near Guwahati ‘accumulating savings and credit associations’ (ASCAs) started over 3 decades ago. The average household (among 72) held investments in this ASCA ‘system’ equal to US $224, diversified across 7.3 discrete memberships. 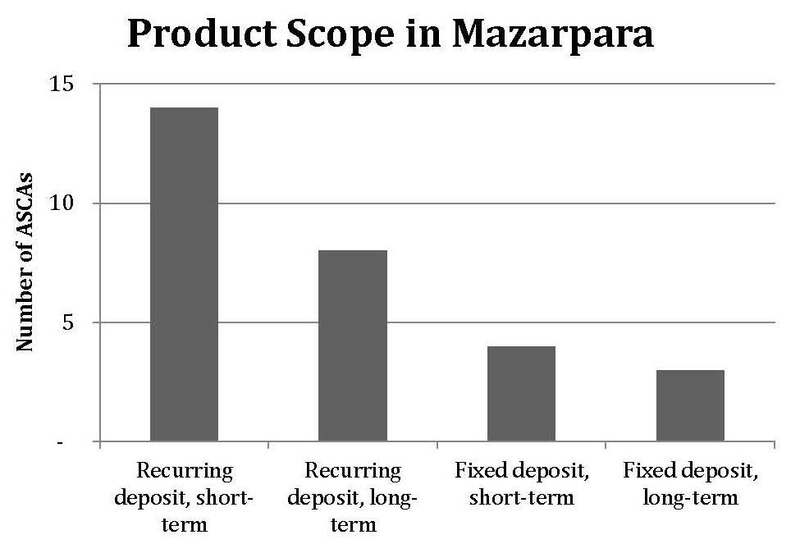 When a new financial service is demanded, Mazarparans start a new ASCA. This keeps the risk of loss diversified and manageably small. In addition to the familiar ‘share purchase’ ASCAs, there is a ‘retirement ASCA’ that is nearing the end of its 4th 5 year cycle. It invests all savings in a post office account. Several ‘term deposit ASCAs’ were formed by members who pool cash surpluses in a one-time deposit. These ASCAs run for 2-5 years and (to avoid book-keeping complications) accept no subsequent deposits. To maintain member trust during multi-year cycles, an active para-profession of local ‘micro-auditors’ has emerged. Often school teachers or educated village youth, these individuals are usually active members of several ASCAs. When projects discourage multiple memberships, they also discourage local innovation to serve different financial needs, while contributing to pressure inside the associations for rapid increases in share values. We as project practitioners diversify our household financial risks. Why do we discourage poor villagers from doing the same?